Throughout December, alongside the usual post-a-day Advent theme, I will be taking a look at 10 individual stand out “Airshow Moments” from a busy season. This is by no means a definitive list of the “best of” 2017, but simply presents some stand out moments that in my eyes made 2017 special. 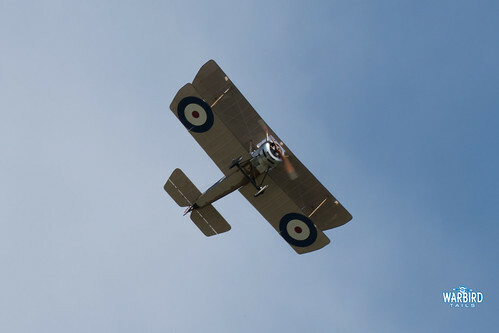 The first of these events to be featured is the debut display from the Aero-Vintage restored Sopwith Pup, then operated by the Historic Aircraft Collection and based at Duxford. I had seen this scout on an air test earlier in the year but the Duxford Air Festival was set to be its airshow debut. I didn’t hold out much hope for seeing the Sopwith in the flying display as a disclaimer was added to the flying programme of a wind speed requirement of under 5 knots. Saturday’s winds were well in excess of this but amazingly conditions on the Sunday were perfect for the Pup’s debut. 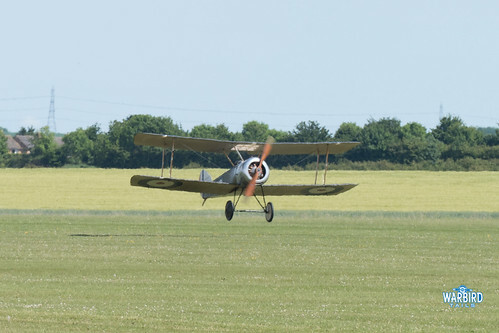 Taking off in front of the assembling Great War Display Team, in the hands of Dodge Bailey, the Pup quickly demonstrated its sporty climb characteristics before entering a gentle display routine. 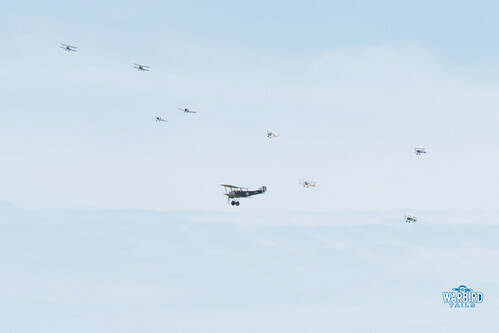 The sight of this original Sopwith Pup patrolling in front of the mass of replica aircraft on the horizon made for a special tribute to the First World War and provided a special (albeit brief) sight of a Duxford based rotary powered airframe. The Pup has since been sold to a US owner though it is now based at Turkestan. 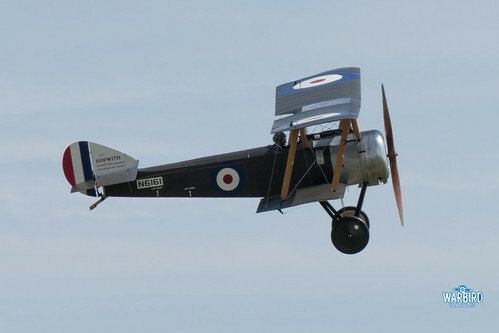 I hope that the aircraft may make another appearance in 2018 marking the end of WW1.